The word ‘geothermal’ comes from the Greek and means ‘heat from the earth’. Deep inside the earth heat is released by the decay of radioactive elements such as uranium and thorium. 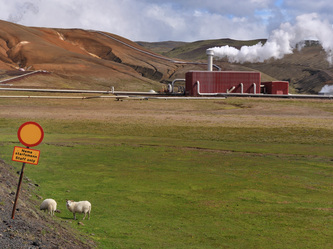 Geothermal systems occur where circulating groundwater is heated and rises as a column of hot water to the surface. 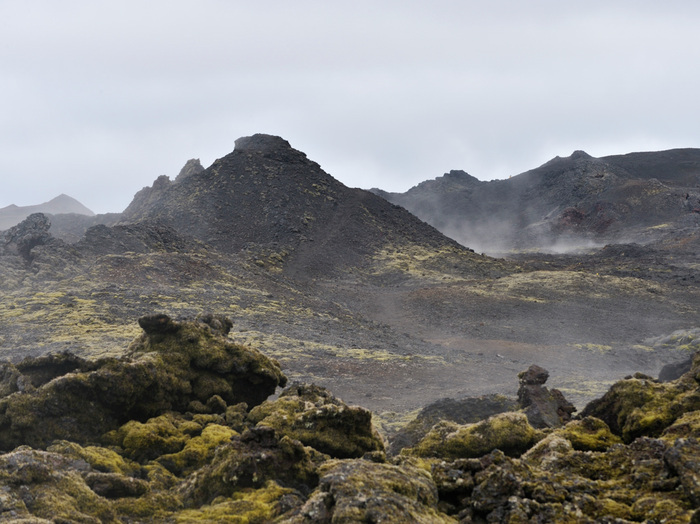 Low-temperature systems, which range from 30ºC to 100ºC, are associated with areas of extinct volcanism, or with active faults. High-temperature systems are associated with active volcanism. 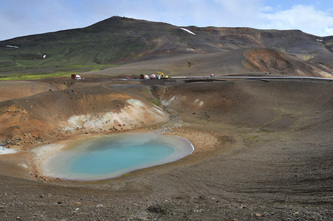 They are heated by shallow reservoirs of molten rock (magma), and temperatures typically reach 200–300ºC. 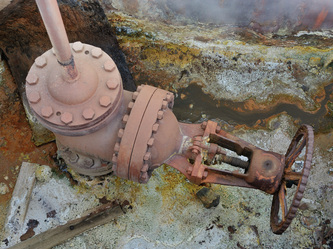 The surface features of a geothermal system may be an isolated hot spring, mud pool, geyser, or area of steaming ground. 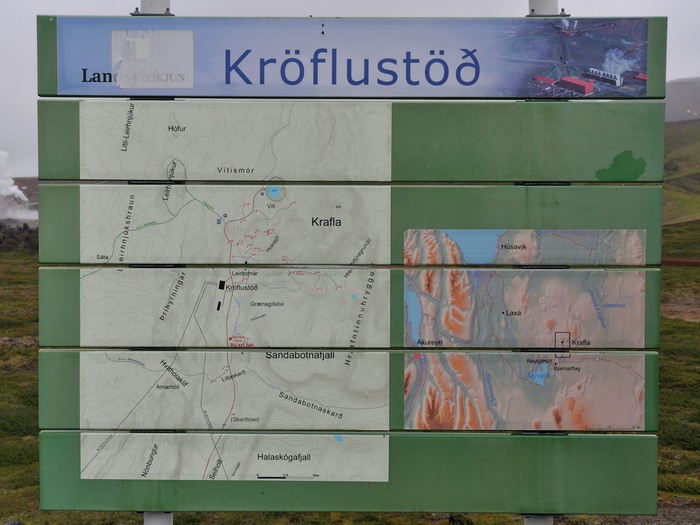 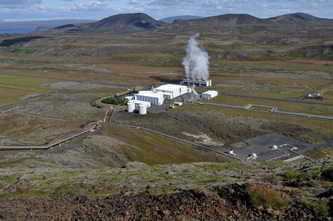 A set of these features grouped together is called a geothermal field. 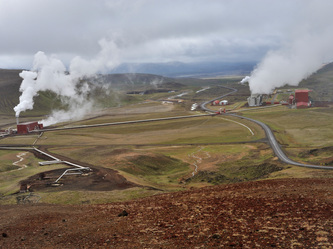 New Zealand’s geothermal features are world-famous. In particular, the Taupō Volcanic Zone has one of the greatest concentrations of geothermal activity in the world, and is rivalled only by Yellowstone National Park in the United States. 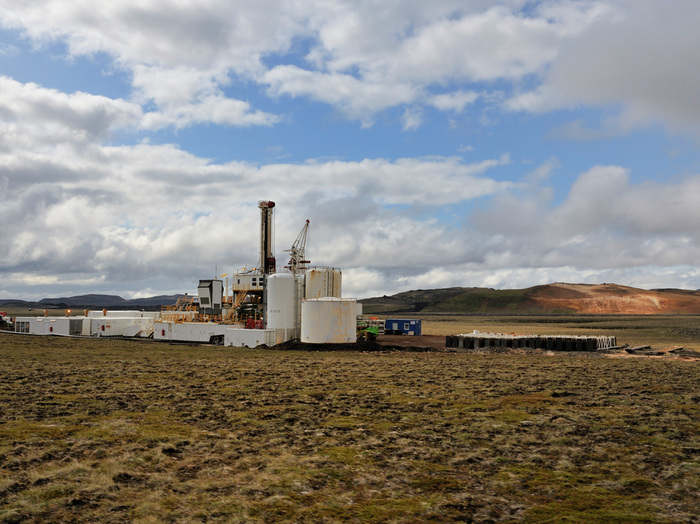 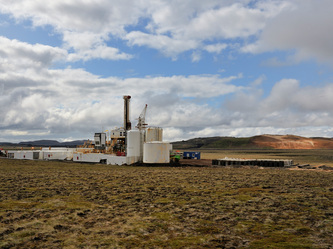 In Iceland the high-temperature geothermal system roughly runs from the Reykjanes Peninsula in south-west to the Myvatn-area in the north-east.